My pleather was a knit, and wouldn’t fray. 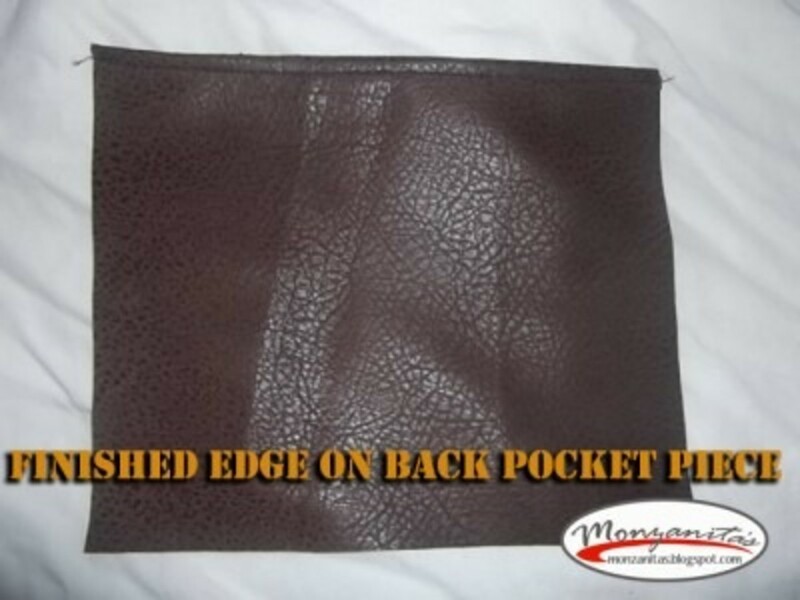 If yours has a chance of fraying you also need to either make binding or buy it, and bind all of your edges. If you would like, you can now round the corners of your squares. I only rounded the corners of the top flap. 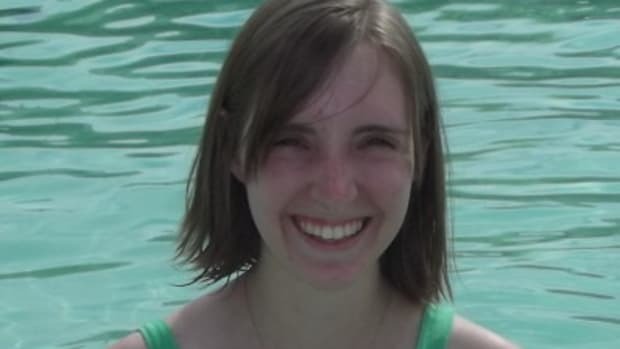 I put the 11×6.5″ piece and one of the 3×6.5″ pieces with their insides together and folded them in half and made a swooping cut through all four layers. Now take your 6×6.5″ square and finish the edge. It should end up being about 5.5×6.5″ when you are done with it. Take the other 3×6.5″ piece and lay it a little bit lower than the top of the 7×6.5″ piece. 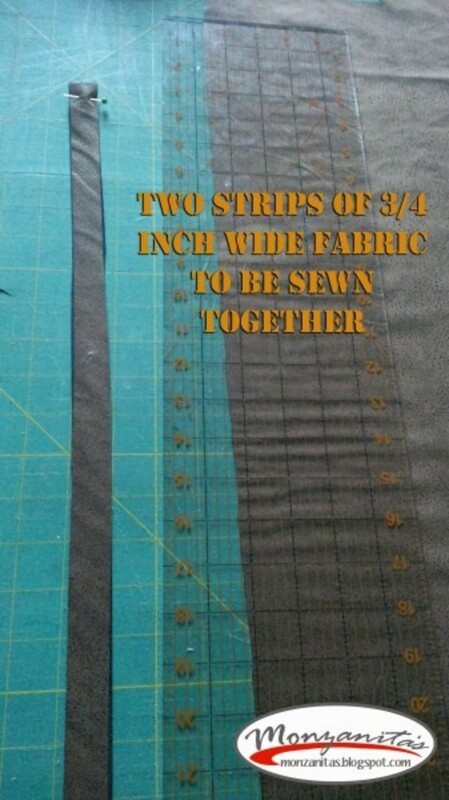 Fold a little bit of the 7×6.5″ piece over the smaller piece and sew them together. 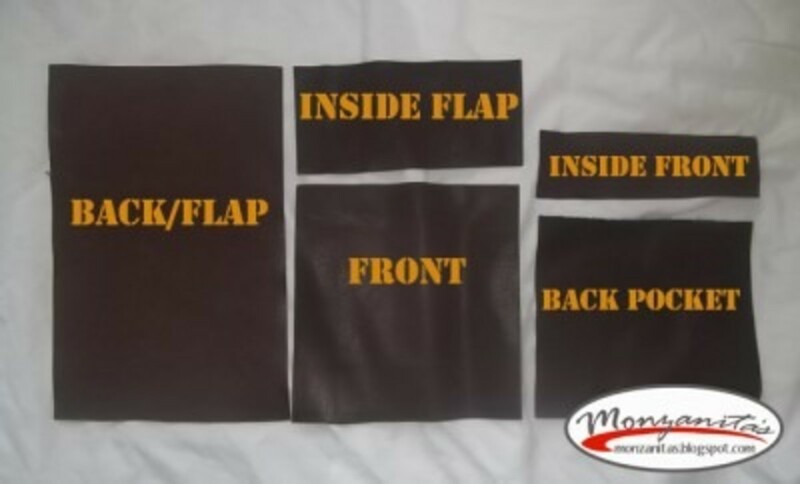 It should make the outside look good, and add a little flap to the inside. 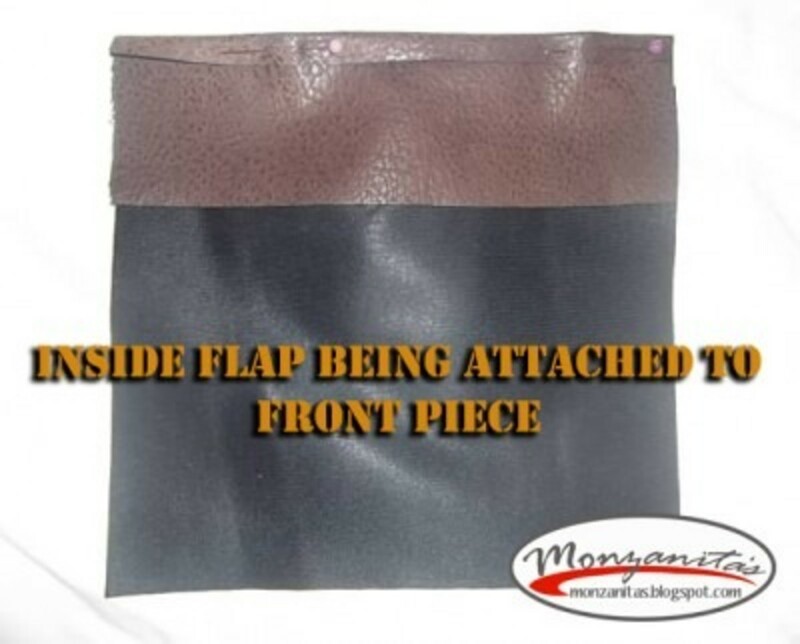 This flap is just to cover the magnetic closer so that it doesn’t scratch anything on the inside of your bag. 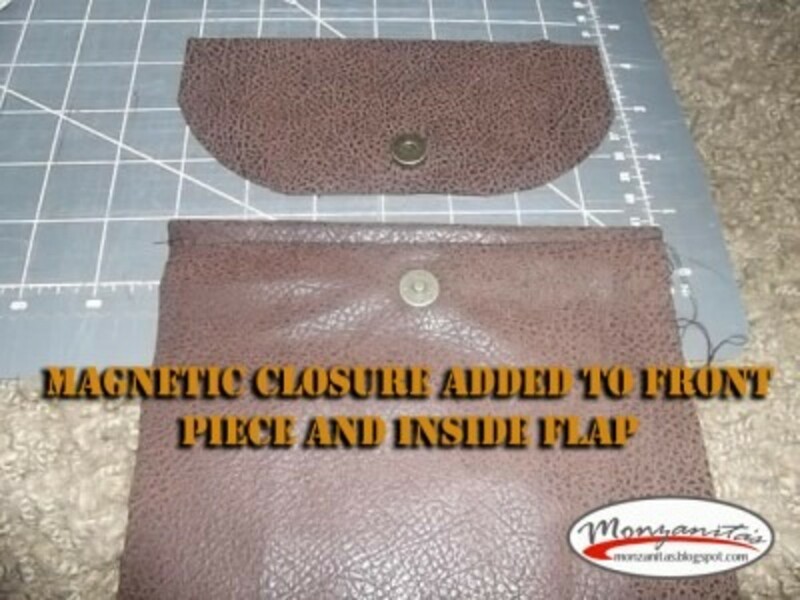 Add the magnetic closure to the front of the bag, and to the inside flap piece. Do this by using an xacto knife and slicing a small slit for each prong of your magnetic closure. On the front of the bag, be sure that you only cut through the front piece and not the inside flap you have just sewn on. Also make sure that there it enough room on the flap to finish the edges. Next, take a couple of small scraps and fold them over so that they will fit inside your small d-rings. Sew them together. 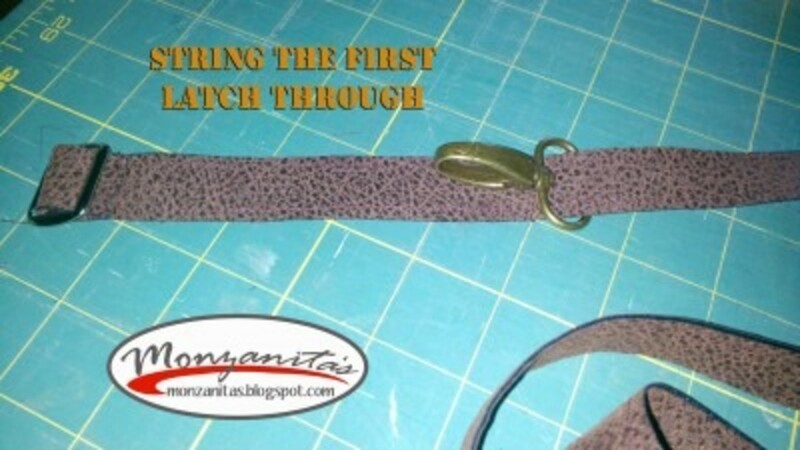 Slide your d-rings through, and pin the fabric holding them inbetween the front piece and the attached flap. You will now baste(do a quick stitch to hold them there until later)them on. 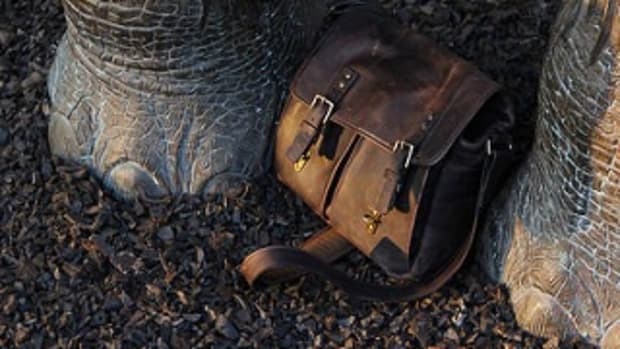 For the final step for the main part of the cross body bag, you will put all of your pieces together. The back pocket will be on the bottom, then the back piece. 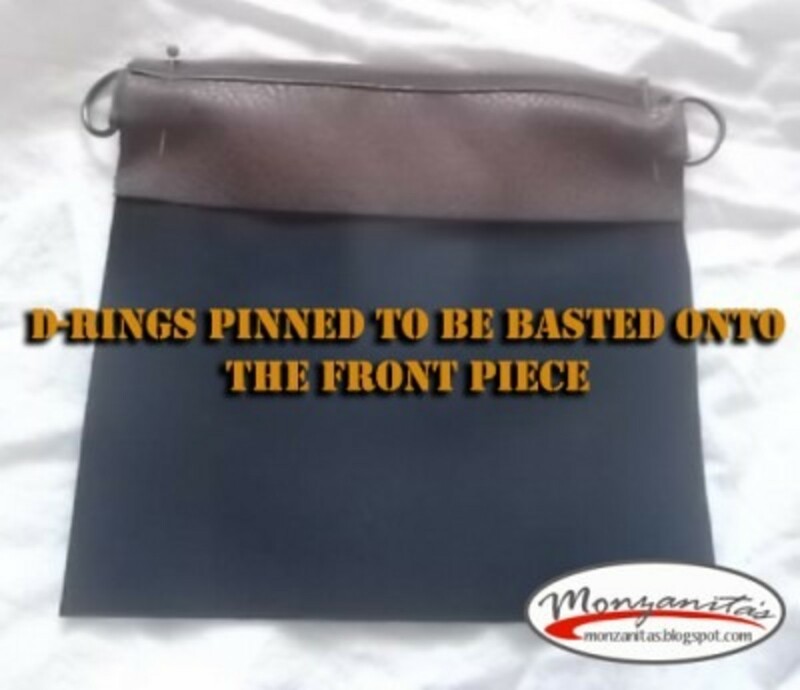 Attached to the back piece will be the inside flap, and the inside piece (with basted on d-rings). If you are using binding to the edges this is where it will be added. 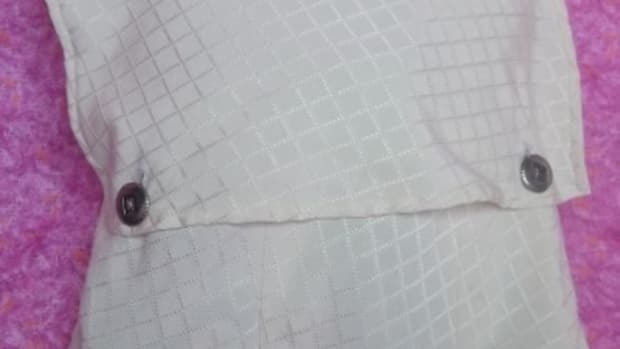 Once everything is pinned together, you can now sew a circle around the edge. One continuous stitch will attach everything properly. Now you can also add the pirate (or any other) pin. Pin it to the front of the flap, but keep the pin under the back of the flap, it keeps the back of the pin from scratching things or getting lost. I used a touch of hot glue to keep the front of the pin in place (after losing it at a fair once. Thanks to the lady who noticed and picked it up for me!). 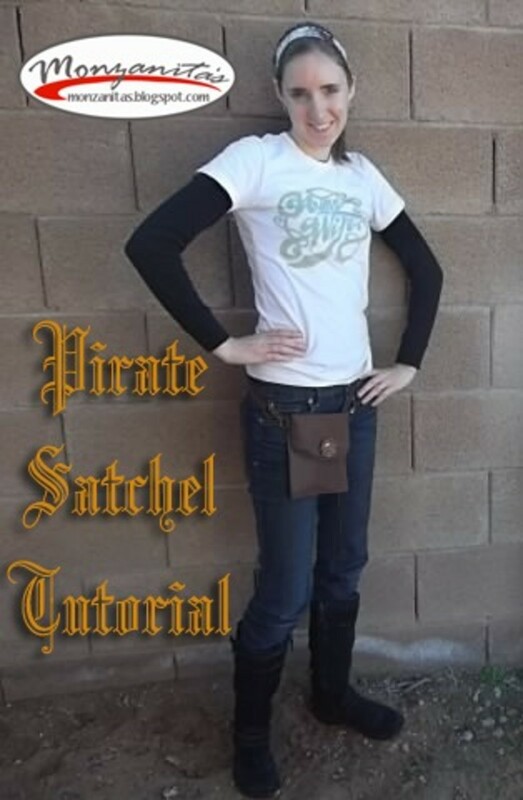 You could buy a strap or one from another bag, but it is pretty simple to make one. 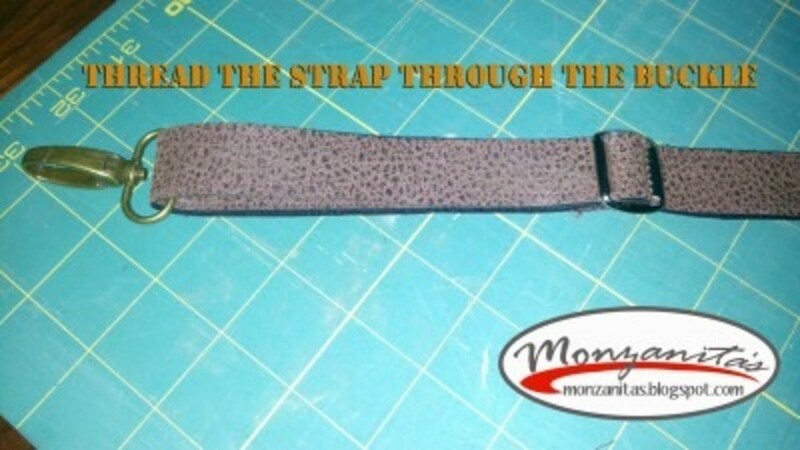 The two inches you cut off in the beginning of the tutorial is meant to be used for the strap. You can now cut that in half. It should be two pieces, each 1″ by about 48″ or however long the fabric is. 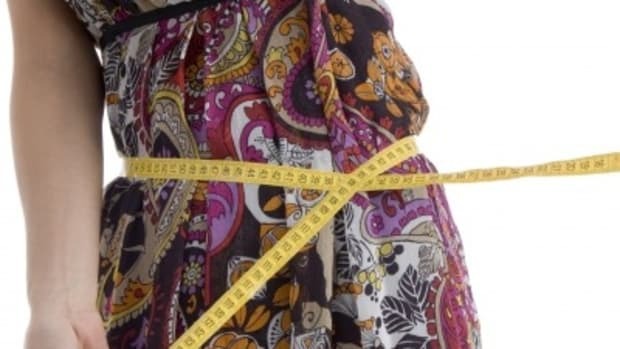 The other factor to the size depends on what size your purse clips and vest buckle are. 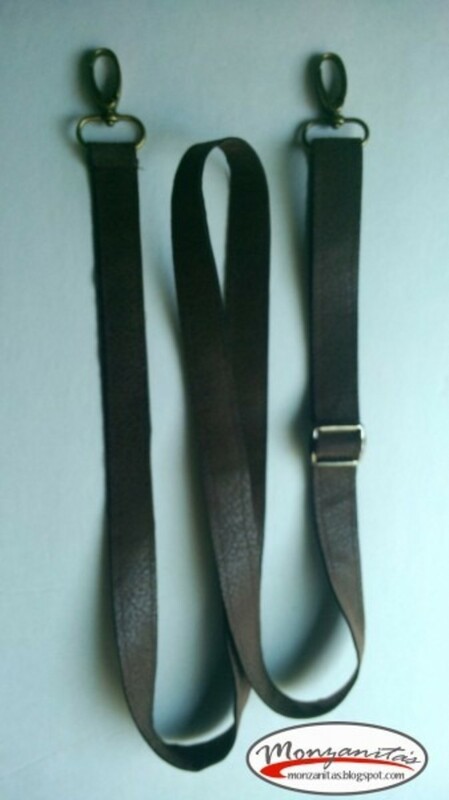 My vest buckle was for 3/4″ so each piece of the strap had to be 3/4″ wide instead of the 1″. 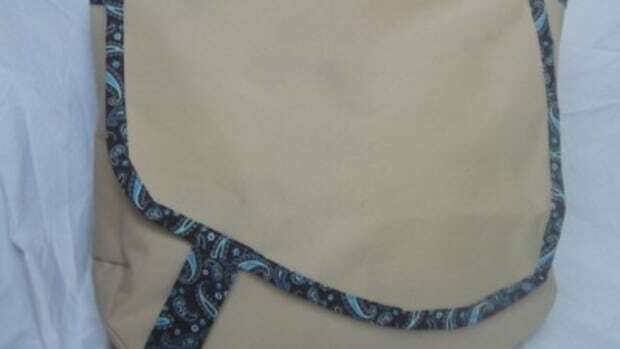 Instead of the same fabric that you used for the bag you could buy webbing or a thick ribbon or something of that nature. Next, sew the two pieces together. I made two seams, one close to each side of the strap. Now it is time to sew the strap onto the vest buckle. 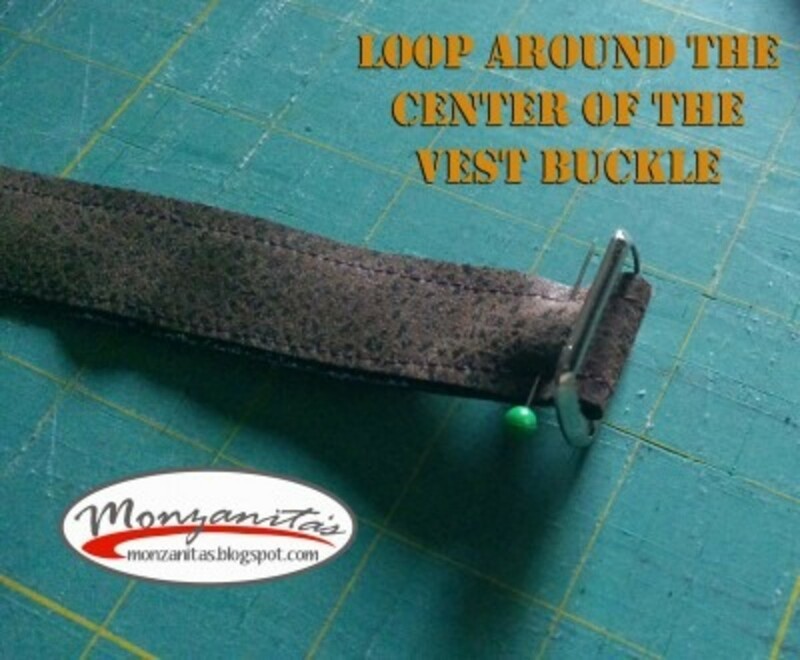 Loop it around the center of the buckle and sew it together at the end. Next put the other end through one of the purse latches. Thread the end through the vest buckle, and then the second purse latch. 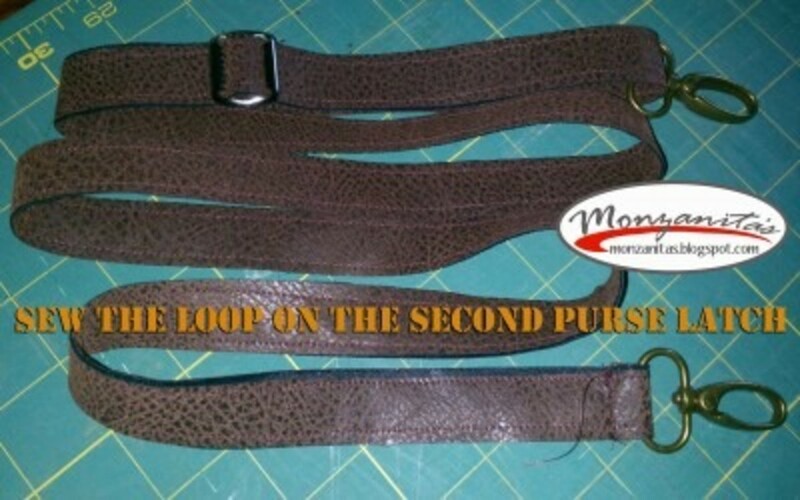 Make a small loop around the second purse latch and sew the loop. 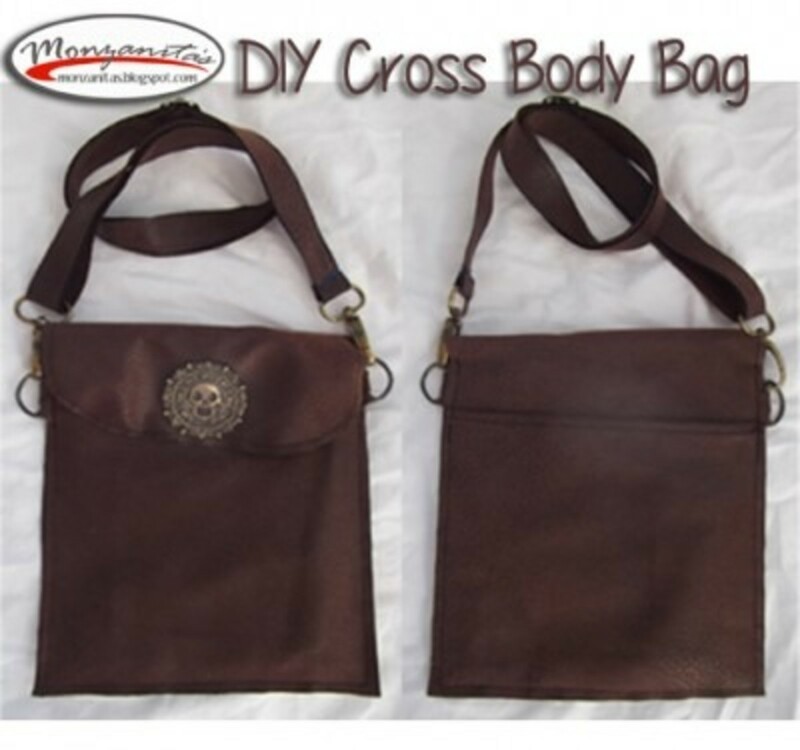 Now you have an adjustable purse strap that you can attach to the d-rings on your cross body bag. 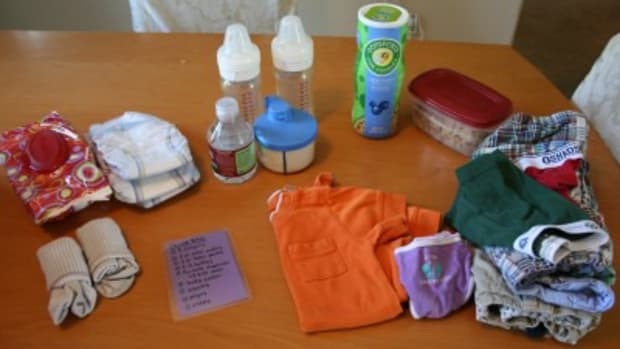 We have an out of site, out of mind theme for our child-proofing. 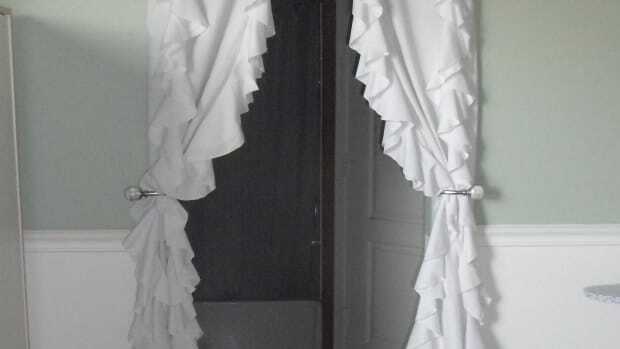 I had some white bedsheets that I got for dirt cheap at a yard sale, that were used in our haunted house.